A multidisciplinary artist, Rachael began her career as a graduate of the Creative Photography program at Humber College, specializing in portraiture and toy cameras. 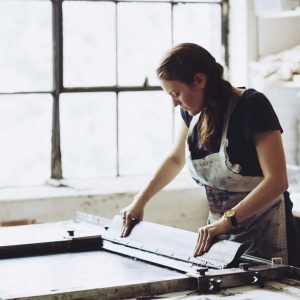 Over the past seven years, her focus has evolved from photography to paper-based work, notably altered book sculpture, paper cutting, and paper engineering. Rachael is process driven, with a belief in learning by doing and is constantly experimenting to push the boundaries of her work as an artist. 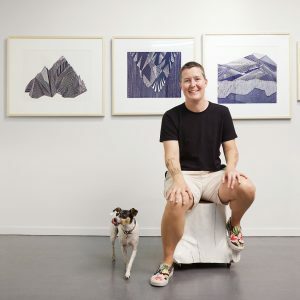 Her recent commissions have included a folded paper construction made from reclaimed maps for Vancity Credit Union, as well as the engineering of ten full-sized paper musical instruments for Giant Ant creative studio. 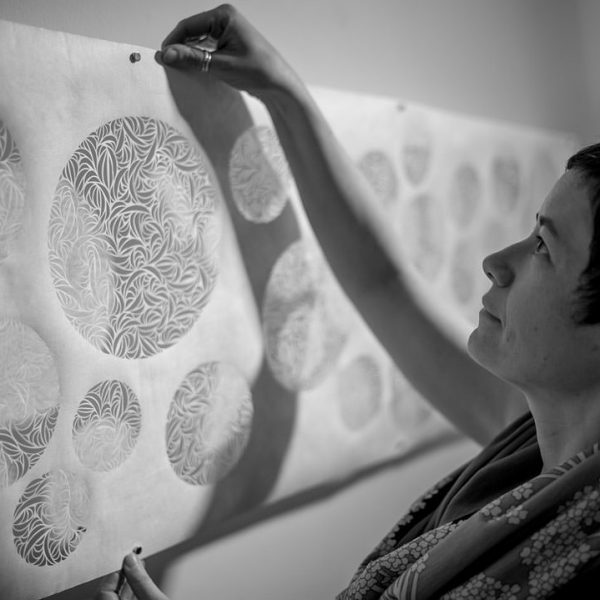 Rachael has also created paper-based public art installations for events such as Container Art Vancouver, Creative Mix conference, and the Illuminares Lantern Festival. In addition, her mixed media yarn mural installations grace the walls of numerous private residences and office spaces in Vancouver and Seattle. Rachael has exhibited in Toronto, Halifax, Vancouver, Salt Lake City, Los Angeles, Portland, San Francisco, and the UK, as well as been published in numerous books and magazines. Her work is held in private collections across Canada and the US. She lives and works in Vancouver, British Columbia.